Paul Badura-Skoda Interview with Bruce Duffie . . . . . 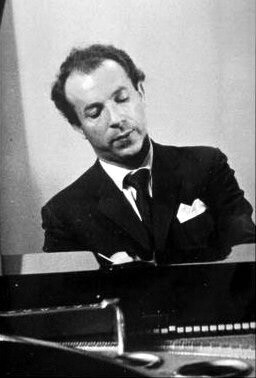 Though perhaps not known to as many people as other pianists, Paul Badura-Skoda has been at the forefront of both performing and musical scholarship for more than a half-century. Born in Vienna in 1927, he was first brought to international attention by conductors Wilhelm Furtwängler and Herbert von Karajan in 1949. 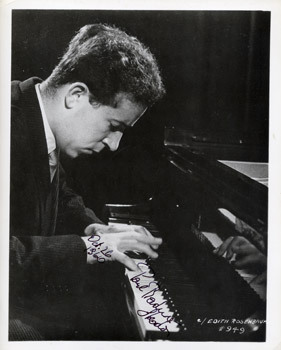 Since then, he has performed all over the world and has recorded many standard and unusual pieces. A full accounting of his life and accomplishments can be found in the box at the end of this interview. He came to Chicago in 1989 to play a Mozart concerto with our “Six Cylinder Orchestra,” as it was called by a newspaper critic when it first began in 1987. The Chicago Sinfonietta continues to live and thrive under the direction of Paul Freeman, and gives concerts at various locations including Orchestra Hall, home of the Chicago Symphony. With a more varied and adventurous repertoire than the larger ensemble, the Sinfonietta lives its motto of inclusiveness in every way, both onstage and in its audience. When speaking, Badura-Skoda is as alive and vibrant as when he plays. Always smiling and ready to answer my questions, the conversation was full of insightful details and much good humor. Since one of his specialties was Mozart and he was here for the Concerto #23 in A, that is where we began our chat . . . . .
Bruce Duffie: Tell me the secret of playing Mozart! BD: You have a special affinity for Mozart. What is it about Mozart that brings such a special joy to you? PB-S: I believe it’s one thing that brings special joy to everyone who loves music. First of all, Mozart writes the most perfect, the most beautiful music; music which is perhaps at the turning point in history, where it was possible to use harmony and really make it sound like harmony, and yet not to make it too primitive. With the greatest economy of notes, of ornaments, of virtuosity, the greatest effects are reached. It means every note is charged with meaning and very often with emotion. BD: Are there other composers that reach almost that level? BD: Is the art of writing music something that is passed on from generation to generation through the ages? PB-S: Yes, and no. We had several breaks in musical history, and one of them occurred in our age. And these breaks, when everything is questioned and we all have to try to start again, happened about every three hundred years. It’s quite interesting to see that rhythm. That means a big change came about the year 1600. After that we had a sort of gradual development of what we call our harmonic language. The cadenza is a means of expression that is still one of the greatest inventions in music; these four steps — tonic, sub-dominant, dominant, and tonic. Sounds very learned, I’m sorry, but how else should I express it? BD: That’s one-four-five-one, the cadence, of course! PB-S: Right. And that cadence really combines all music written after 1600. There is not a real break between Baroque and Classical music, and none between Classical and Romantic. It was only towards the end of the last century that people felt it was somewhat exhausted; maybe they were right, maybe they were wrong, but they started new ways. Everyone started a different way. The most faithful to that old formula, I would say, were the French composers. First the impressionists, later perhaps people like Messaien, and the Swiss-French Frank Martin, who became my friend. Then of course we have Stravinsky and then we have the avant-garde who tried everything — noise, and so on. We have electronic instruments being able to produce sounds never heard before. And we had dodecaphonic music of Schoenberg. BD: You bring up a word that I want to pounce on a little bit, and that’s “noise.” Where is the break between music and noise? Or, where does noise come back and become music again? PB-S: It’s a connotation which makes it. It’s always the musical context which makes good or bad music good or bad noise. After all, every percussion instrument, including the piano, produces a certain amount of noise together with the music. I could not really point out where the frontier lies, but I believe that even in the most fantastically sounding music, the noise ought to be organized. If it’s just chaotic, if it’s disorganized, then for me it ceases to be music. That’s a very personal impression. BD: What for you, then, makes some of these organized sounds great music, and some of the organized sounds lesser music? PB-S: Believe it or not, it is the man or the woman behind it. Like in poetry, like in writing, that’s something we really cannot tell how that happens. You are just moved by a phrase of Mozart or by a phrase of Schubert. You can analyze it; you can say, “It’s very well constructed. Here it’s first, fourth, fifth step.” But that doesn’t explain the miracle of it; you are just moved. And why? Here I disagree heartily with those who try to minimize Mozart the man, because Mozart the man was so great; same with Bach. He had to say something. And as my teacher Edwin Fischer pointed out, Mozart’s music is love. That’s the way I feel about it. If a person writes music with a great knowledge and a great artistry, but if there’s no love, no urge to communicate something which is more than just the notes, I cannot be moved. BD: Do all the great composers have this love? PB-S: Not necessarily. Of course in my choice of great composers I would answer with an unhesitating yes. But I can see that there could be composers who perhaps do not have the love in that sense, and yet write great music, but only in modern times. I’m not sure whether Stockhausen or Boulez, to mention a few very fine contemporaries, have this love. Amongst great performers, Toscanini and Furtwängler and Rudy Serkin and Horszowski, and in a different way Horowitz and Rubenstein have this love, because it’s the same for the performer, of course. There are other performers who are absolutely wonderful, but you are not sure whether they really love the audience. That’s what I feel, sometimes, when I hear Pogorelich play. Nothing against him — he is one of the greatest piano players. BD: All technique and no emotion? PB-S: No, that would be wrong. There is emotion, but I don’t feel this emotion which he wants to communicate, to share, with his audience. And of course, this leads very far. Glenn Gould was a borderline case. He certainly had a great deal of emotion, but his communication was very, very interesting to see. He didn’t like to play before audiences, and yet I heard him before his retirement into the recording studio and I think he communicated very well. BD: He wanted all of it internal as he was playing? BD: And then he let you listen afterwards. PB-S: Right. He had a different conception about sound, about singing, about style. But he was certainly a great performer. BD: Are the great performers on piano today as great as the performers of yesterday and the day before? PB-S: If you call them great performers, they are great. If you call them great technicians or great mechanics, then sometimes you might be doubtful. I feel that we had a certain generation of younger pianists — I’m just past sixty, so everybody who is less than fifty is younger — who perhaps emphasize too much what we would call the technical perfection, something of course we all strive to attain. But there is limit to what every human being can do, and if you put all your energy in the so-called technical perfection not to miss one note, and to practice and to practice, then you might miss the beauty of a phrase. Let’s recall another great name — Artur Schnabel. Sometimes there were plenty of wrong notes. Or Alfred Cortot, the greatest Chopin player. Horowitz agrees with me; he loved Cortot. I met Horowitz last year. So if you take these players with all the wrong notes they give you, sometimes it becomes more than those who play no wrong notes. But I feel that there is a younger generation coming back, as a reaction who try again to understand what is beauty, what is poetry. You might find it interesting that the word beauty is hardly ever mentioned in reviews or in writings about music — or has not been in the last ten or twenty years. BD: Beauty of sound and beauty of emotion? BD: When you’re teaching young students, do you advise them to look into their hearts as well as into their heads? PB-S: Oh indeed, yes! And not only to imitate, not to become apes, but to form their own imagination. Of course we need to help them. First of all, you must convince them that the printed music as such is not the only thing, that it was preceded by manuscripts, by sketches, by sometimes a very tedious work in process. I’m thinking of Beethoven, but Chopin also had a very, very hard time to come to the so-called definite version. I let them share the excitement of creation. I let them write their own cadenzas and sometimes improvise on the spot. At the beginning they are terribly timid about it, but they learn; some of them learn, and some are a little bit too inhibited about it. In order to understand the composers’ lives, they need to understand their joys and their sufferings, their happy and unhappy loves, and to share the life with the composer. This helps them to become a friend. BD: When you’re playing or teaching, how much emotional latitude and interpretive latitude do you want in the music? PB-S: I insist first, of course, that a good text has to be established. I’ve had a lifelong fight against very, very bad editions which really distort completely the composers’ intentions. You have no idea what can happen to composers’ work. Schumann, particularly, was very, very badly treated by the so-called editors. There’s an Italian proverb, “Traduttore, traditore.” It means the one who translates is a traitor. PB-S: And interpretation, of course, is something like translation. So first you establish the text and see exactly what the composer had fixed. The more you go back in history, the more you see that the text is only a point of departure and the more the composer wants you to become a friend and a participant. So when you go to any composer of the eighteenth century, from Bach and Handel up to Haydn and Mozart, you will find they purposely left something open, something not written down precisely. You might feel a phrase can be played louder one day and softer the next; you might hear and improvise an ornament; you may make even small cadenzas, not only in concertos, but in piano sonatas as well. BD: When you approach a piece and decide how you wish to play it, does that way of playing it always remain the same, or does it change over time? BD: Then can you take the same approach to Mozart and lift Mozart even higher than he was? PB-S: Certainly not! Together with my interpretation, I would fall down as if I would jump out of the window here on the seventh floor, I believe. [Both laugh] That’s what would probably happen! People have tried, and in a way Mozart is so great that he even tolerates if you treat him rather badly. I’m thinking of the famous movement that was used in that film... What was it called? PB-S: Yes! So everybody thinks it should be played the way it was played in the film, as a lush, sentimental melody! But Mozart, I think, can smile about these things. My interpretation changes, and has changed over time. Whenever I play a work again, like this concerto I’m now performing with the Chicago Sinfonietta, I go back and try to study it as if I’d never known it before. BD: You go to it with a clean score? PB-S: A clean score. Then I compare and make notes, and I can also see how my interpretation has developed over the years. Sometimes it moves in a sort of circle, or perhaps you’d better call it a spiral. That means after twenty or twenty-five years, I come back to an interpretation which is nearly the same, or with the same intention, as it used to be in my younger days. BD: Do you think that Mozart is looking down right now and is happy with what has happened with his music in the last few years? BD: Would Mozart want to impose the taste that he lived by, or would he appreciate the taste that we have now, two hundred years later? PB-S: This is a vital question about our very existence. I believe the basic things do not really change. I think of the taste of food. If you find a food too salty today, you would also find it too salty a hundred years ago, or with too much spice. And if a poem can still touch you, then it has to be told in the right way, not with too much emphasis or without any articulation whatsoever. Think of a poem you could feed into a computer — it wouldn’t make an impression on you. BD: But music exists so much in time and in space and in emotion. The emotions of two hundred years ago have changed so much; the human condition has changed so much. We’ve lived through wars, and our life is going so much faster these days. Do we still understand things that were written two hundred and three hundred years ago? PB-S: I believe we do. Of course, we do not understand everything. There were certain formal symbols used which only the scholar might understand, but in general that’s exactly what Mozart has to say. And he would not be such a success, because his success is now constantly rising. When I started my career, everybody thought, “Mozart... well, it’s good for children.” Or, “He was a forerunner of Beethoven, but of course Beethoven is so much more important!” Today, I would say Beethoven has already been eclipsed in public esteem by Mozart. So what is it? I really think it is the eternal expression. If you say to a person you love her, you would not use other words or other expressions as you would have used two hundred years ago. And don’t think the time of Mozart was an easy time. It was the French Revolution, and it was just as bloody an affair as today’s revolutions and wars. There was much cruelty, and life was in no way idyllic. Think of Mozart’s personal life; I think we are still touched by that. I’ve made the test because I’ve played all kinds of music, but in particular Mozart, Haydn, and Schubert — but less Beethoven — to audiences that were never exposed before to such music, and their reaction was absolutely natural. Sometimes they seem to understand better than a so-called sophisticated audience. This is also true when you play music to children. Children are always the same. So I believe there is much more a prominent factor in our being than the changes. The changes are on the surface. And speed — my goodness, there was a great deal of speed also in Mozart’s time. Not car races, but in other ways! BD: Then let me ask the great big philosophical question — what is the purpose of music in society? PB-S: Hm! That is a question. What is the purpose of a beautiful flower, and of the joy of seeing a beautiful landscape or sunset at sea? I think we need emotion, and we need something which lifts us from everyday life. We would be much poorer if we had not real music. I have to make the point that not everything which produces sounds or noises has this effect. A friend of mine, a great musician, stated that great art and great music, in a way, brings peace to your heart and soul. And not-great music — or something which does contrary, which upsets you and unsettles you and excites you for excitement’s sake — is not the one thing which he considers great art. I would subscribe to that vision. BD: You’ve made a lot of recordings. Do you play the same in the recording studio as you do in the concert hall? PB-S: Yes and no. I am more demanding, as far as technical perfection is concerned, in the studio, because I consider it a different idea. If you communicate to an unseen audience by a means where you are not present, and particularly if the recording is heard over ten times, and more, as it happens, then a little negligence, a little wrong note here and there — which at one hearing doesn’t disturb you at all — becomes a pain in the neck! But apart from this, I feel the same. I just want to make good music. BD: When you’re playing on stage, do you ever feel that you’re competing with recordings that you have made, or that others have made? PB-S: Yes I do, but if I really feel like that, it’s very bad. Of course we are haunted by so many thoughts and it’s very, very difficult — if not impossible — to have what you would call a clear mind. Certainly while playing I try to forget the problems of performing and being or remaining on top, and not think about how I played a week ago or ten years ago, and how Mr. So-and-So performs the same work. BD: What do you expect of the audience that comes to hear any particular concert? PB-S: I expect the audience just to be good listeners and be prepared for good hearing, and not to be too much biased by recordings, by a promotion, by what has been said before. To me, it’s one of the great things of our culture that we do have audiences, and that people flock to concerts. Here, the prediction of Glenn Gould so far has not proved right. Not only in our countries, but particularly the Eastern countries and South America, today more people — including young people — go to concerts than when I started by concert life. BD: Are you optimistic, then, about the whole future of music? PB-S: Oh, yes! I’m optimistic. BD: How are audiences different from country to country, or even city to city? PB-S: They are even different within a city. You might have a very stiff audience on Thursday night and an extremely good audience on Saturday night! This has something to do with traditions, as well as the average age of subscribers and their approach. Some people go there because it is a fashion and not because of the love of music. I do not exclude them; I think we need them. These people also help us to build our careers and sometimes, perhaps even out of a bad conscience, they do more to help the artist than those who go for the love of it! BD: I want to ask a little bit about instruments. You have an impressive collection in your home, but you’re a slave to whatever instrument is in the hall that you come to. How long does it take you to adjust into each different instrument you encounter? PB-S: This is part of our problem, but also of our art. A pianist does not only learn to play one instrument, his piano, but to play the piano, which means a thousand different instruments. In my first years, adjustment had been very, very difficult, but now I have learned to adjust within seconds to whatever instruments I find. One has a hard action; one has a light action; one has a brittle sound; one has a sound which is just too mellow, so everything’s woolly. And I’m speaking now of the same make of piano. Of course, every make has its characteristics. Bösendorfer has bell-like clarity, but it’s sensitive if you hit it too hard, particularly if you play the bass notes too loud. Steinway has this wonderful ring, this full romantic sound, but sometimes it’s hard to get the crisp Mozart quality in certain passages unless you have a very special instrument. I’ve been helped very much by the fact that I’m a collector of antique instruments. The change from Mozart’s piano to Beethoven’s piano, and from Beethoven’s piano to Chopin’s piano is infinitely greater and more difficult to handle than to change from a Steinway to a Baldwin, from a Baldwin to a Bösendorfer and from a Bösendorfer to a Yamaha, and so on. BD: Should you try to play Mozart’s concerti on only Mozart’s instruments? PB-S: Yes, I’m getting closer to it. You might have heard about the book my wife and I have written on Mozart, and I think we were nearly the first ones to become champions of the idea to listen to Mozart on the instrument for which he composed. That idea of performing on original instruments has grown so much. Really, it has exploded! Today, nobody would question it anymore. You hear all these baroque and classic orchestras with their many names — Orchestra of the Age of Enlightenment, Hanover Band, Collegium Aurium, and God knows what! You hear them and you enjoy them. And the same, of course, is true for the pianos. You could not explain history, but in retrospect you see some things. One handicap among other things with the old instruments, which certainly led to the modern piano, was their beautiful, delicate, but small tone. They wouldn’t carry. I would not dream of playing a Mozart piano with orchestra, particularly here in Orchestra Hall. But today, the pianists come back to our homes by means of loudspeakers, of reproduction of any kind, and I’d say, “Why should one not have the pleasure of listening in your sitting room to the sound of a beautiful Mozart piano which is not so loud?” Anyhow, you would never put the volume of your loudspeakers in the way a real concert grand would sound in your living room. You would certainly tune it down, and then actually you are rather close to the Mozart sound. BD: How do you balance your career — concertos, chamber music and solo repertoire? PB-S: It’s not I who balances it; it’s how engagements come in. Demand and supply, you know. We are just selling! [Laughs] But I would say it’s rather software, not hardware! BD: Are you selling Paul Badura-Skoda, or are you selling Mozart? PB-S: I sell Mozart wrapped in Badura-Skoda! I think that perhaps is quite a good comparison. I try, of course, to bring Mozart to life, but every composer needs the performer, and they all felt that without the performer, their music would be just a piece of paper. They were even not against, sometimes, making certain arrangements, though the question of how faithful and unfaithful you are to music is something which I would not try to sort out with one clear-cut answer. You asked me the question earlier. BD: Is piano playing fun? PB-S: Yes, it can be great fun! And it’s wonderful to see young people with talent who improvise. I know a genius, a young man of twenty or twenty-one from Czechoslovakia. He won already the fifth prize in the Tchaikowsky Competition. He does any sort of improvisation, and you can see how much fun he gets out of it! I visited with him about two months ago, and what he did was unbelievable! For example, he made an improvisation, and then he made something which already Mozart had done before — he imitates a person who cannot come to an end. He hit the final chords, and he adds another cadenza and another run, and now you think the final chord will come, and he does another crescendo! And he did it for about three or four minutes! Finally he ended with a very soft little note! So that was practical fun! I think fun should be there! BD: Thank you for bringing all of this to Chicago. PB-S: Thank you! I hope it wasn’t too sophisticated. BD: No, it was just fine. 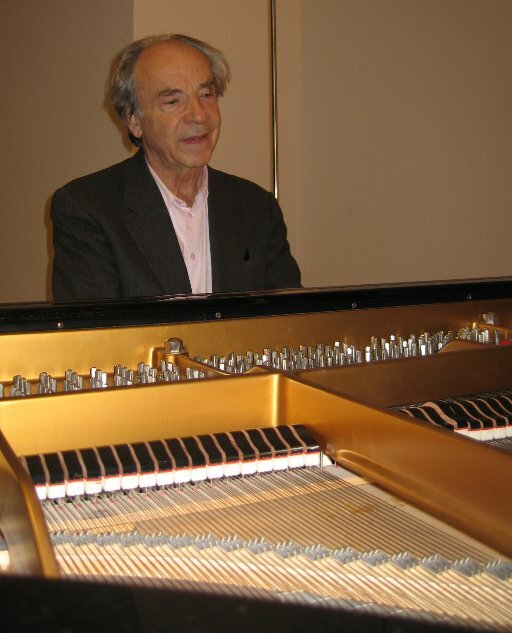 The eminent Austrian pianist, music editor and pedagogue, Paul Badura-Skoda (real name: Badura), was brought up by his stepfather, Skoda, whose name he adopted professionally. He studied science, as well as music. 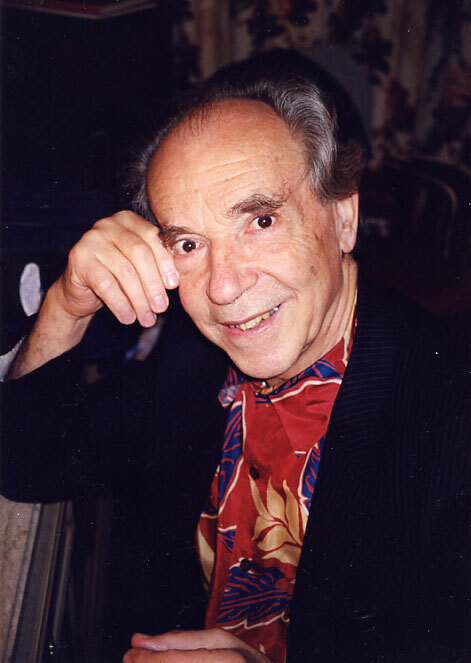 In 1945, he the Vienna Conservatory, and two years later won first prize in the Austrian Music Competition and a scholarship, which allowed him to study with Edwin Fischer. These years laid the foundation for Badura-Skoda's artistic future. In 1949, Wilhelm Furtwängler and Herbert von Karajan became aware of Badura-Skoda's outstanding talent, and invited him to play concerts. Practically overnight the young Viennese became a world-famous artist. Since then, Paul Badura-Skoda has been a regular and celebrated guest at the most important music festivals, and a soloist with the world's most prestigious orchestras. He made his New York debut in January 1953. From 1966 until 1971 he was artist-in-residence at the University of Wisconsin. In addition to Wilhelm Furtwängler and von Karajan, he has collaborated with such renowned conductors as George Szell, Karl Böhm, Lorin Maazel, Zubin Mehta, Sir Charles Mackerras, Sir Georg Solti, Kent Nagano and John Eliot Gardiner. 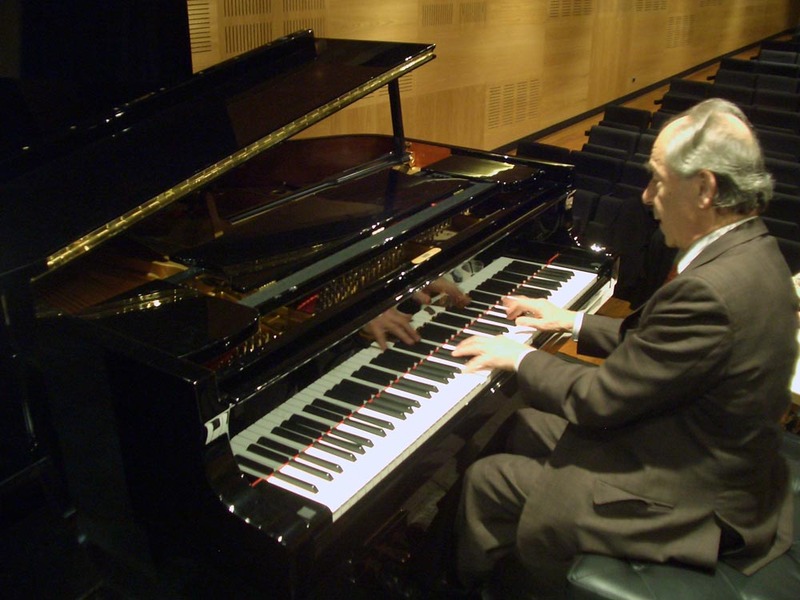 Paul Badura-Skoda has recorded a vast repertoire - more than 200 LP's and dozens of compact discs including the complete cycles of the piano sonatas of Mozart, Beethoven and Schubert. Paul Badura-Skoda performs with equal authority on both period and modern instruments. He was a pioneer in proposing the use of period pianos in performance. His profound knowledge of instruments from Batch's and Mozart time up to the present has given him the capacity to extract from modern instruments a quality of sound which never fails to amaze audiences and critics alike. After a celebrated eleven-city tour in Spring 2003 marking the 50th Anniversary of his American debut, Paul Badura-Skoda dazzled audiences and critics with his consummate performances. Reviews across the U.S. consistently lauded the legend's mastery with headlines such as "Pianist weaves magic," "A stunning surprise," "Badura-Skoda warm and witty," "Pianist's insightful performances superb" and "Badura-Skoda gives peak performance." The tour began in February 2003 with an appearance with the Boston Symphony Chamber Players and a solo recital at Carnegie Hall, and culminated in a performance of Mozart's Piano Concerto No. 22 with the Dallas Symphony. He returned to the USA July 2003 as concert soloist and conductor at the Grand Teton Festival in Wyoming. He continues to tour the world over, including concerts in Japan and at Singapore's Esplanade Center, a concert in the Esterhazy Palace on an original instrument from Haydn's time, a concert in memory of Frank Martin in Zurich and other recitals in important venues in Paris, Milan, Florence and Seoul and Shanghai in 2005 and 2006. 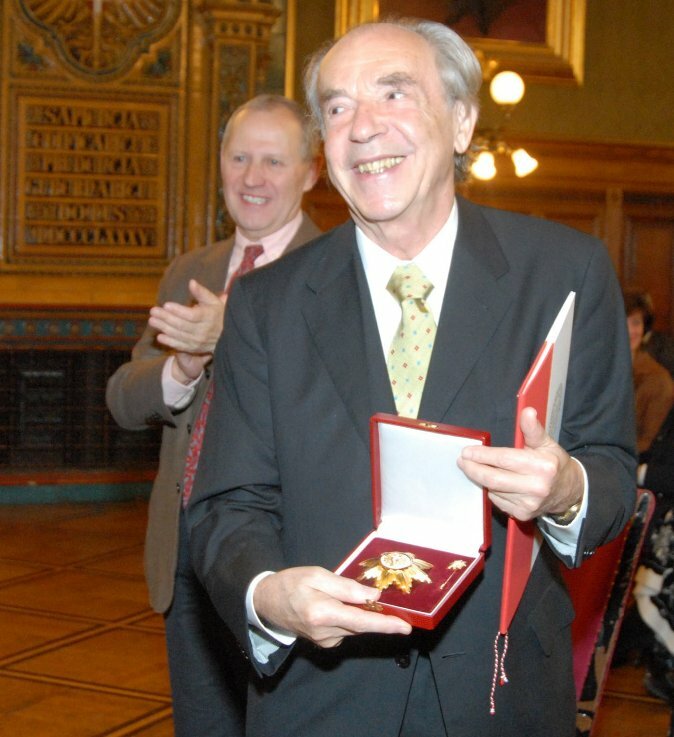 In September 1951, Paul Badura-Skoda married Eva Halfar, who collaborated with him on his various editions. [NOTE: Many biographies of Paul list the date of his marriage as 1941, which seems unlikely. However an encyclopedic entry for Eva lists the year as 1951, which is much more plausible.] He published: Mozart-Interpretation (with his wife; Vienna, 1957; English, 1962, as Interpreting Mozart on the Keyboard); Die Klavier Sonaten von Ludwig van Beethoven (with Jörg Demus, Wiesbaden, 1970); Bach-Interpretation: Die Klavierwerke Johann Sebastian Bachs (Laaber, 1990; English translation, 1992, as Interpreting Bach at the Keyboard); also contributed valuable articles on Chopin, Schubert, and others to German musical journals. 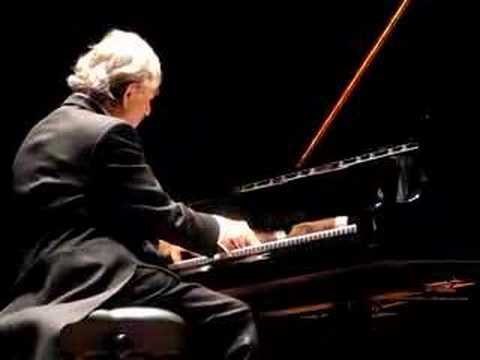 Paul Badura-Skoda is one of the most important pianists of our time. A legendary artist who has been heard in all the world's greatest concert halls, and for years was the pianist who had the largest number of records available in the market. His musical personality is characterised by complete immersion in music, a passionate search for the essential, and a sense of artistic responsibility. It soon becomes evident to any listener that he loves music with every part of his being. This interview was recorded in Chicago on March 7, 1989. Portions (along with recordings) were used on WNIB later that day, and again in 1992 and 1997. This transcription was made and posted on this website in 2009.